A world of play limited only by your child's imagination. Introducing BRIO - A unique play system featuring a clean & simple design. Your child's BRIO world can be built and extended throughout childhood by adding pieces that support each stage of development. 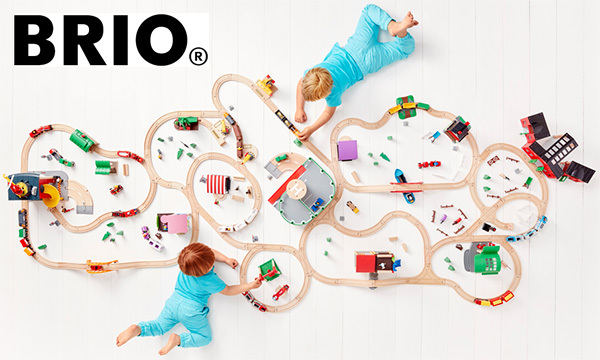 Established in 1884, BRIO is a renowned household favorite and continues to inspire children across the globe. Back compatibility means collections can be passed down through generations.